PEOPLE COME TO AUTO SERVICE CENTERS TO HAVE THEIR VEHICLES REPAIRED, NOT DAMAGED. Unfortunately, accidents don’t just happen on the open road. Sometimes they happen in parking lots and repair bays. At The Clausen Agency, Inc., we are proud to offer an exclusive auto service center insurance policy that can be tailored to meet the specific needs and risks of your shop. 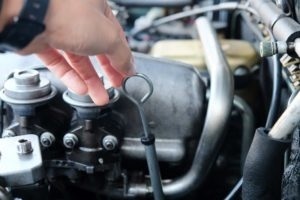 A dropped tool, a faulty lift, a lapse of concentration – it doesn’t take much to turn a simple oil change into a full-fledged lawsuit.